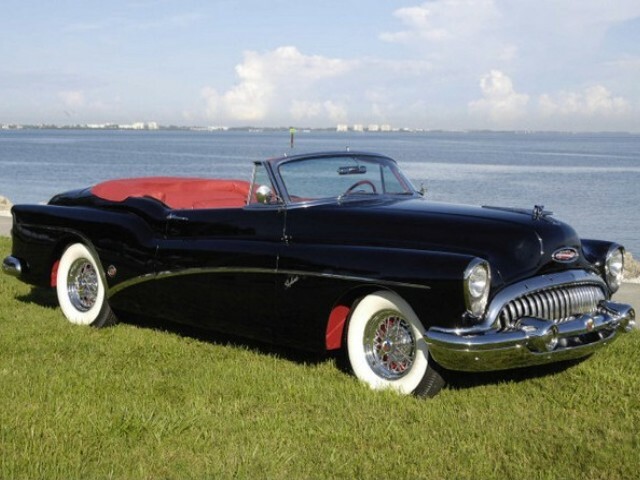 The first Buick Skylark 1953 refer to Buick's 50th anniversary. Buick Skylark is build as a limited model of the Roadmaster line (only 1,690 units). The Skylark was the first Buick with new engine, a 322 cid V8 , a four barrel carb and 8,5:1 compression rate. The Buick Skylark's performance from 0-60 km/h in 12 seconds was remarkable for 1950s.